Home Advance the Patient Voice What Matters to You? When a health care provider starts a conversation by asking what really matters to the person they are caring for, it helps them to build trust, develop empathy and understand their patients. Ultimately, it improves the quality of care they provide. In partnership with the Patient Voices Network’s Oversight & Advisory Committee and health care organizations across the province, we are encouraging providers to have “What matters to you?” conversations each and every day with the people they support or care for. Because patients are the true experts on their own needs and experiences, asking, listening and responding to what matters to patients is a key feature of person- and family-centred care. 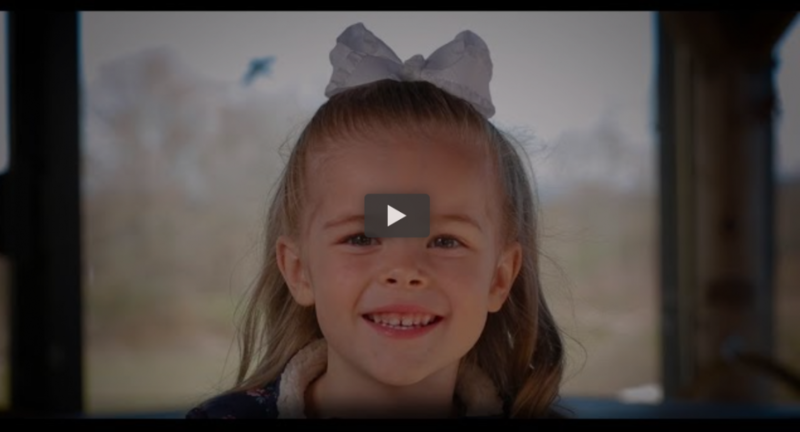 Learn More About "What Matters to You?" “What matters to you?” is a simple question that can have a big impact on care. When providers have a conversation about what really matters to the people they care for, it helps them ensure that care is aligned with patient preferences and provide more patient- and family-centred care. Taking part is easy! 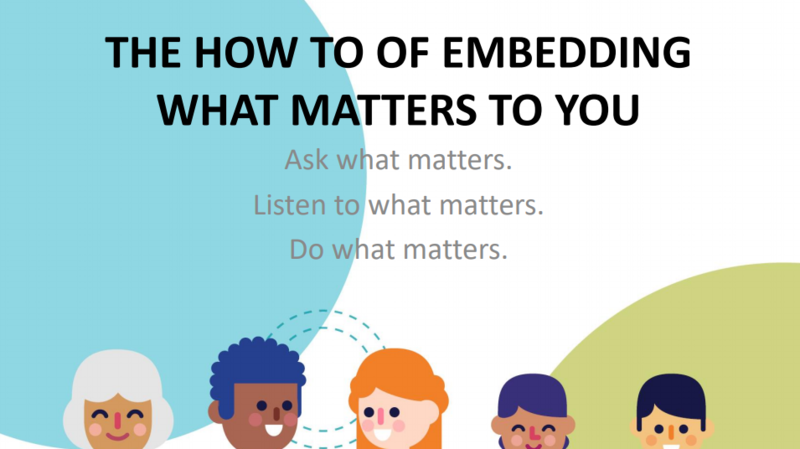 Order “What Matters to You?” resources to show your commitment to patient- and family-centred care. Then, have conversations about what matters. If you are a health care provider, ask your patients or clients that simple question: “What matters to you?” For health care providers, we encourage you to embed this question into your practice each and every day. If you are a patient, we invite you to take time before your visit to reflect on what matters most to you, and to share it with your health care provider. It’s that simple. I did it! Now what? We’d love you to tell us about your “What matters to you?” conversations. Please fill out our story submission form and tell us all about your experiences. We’d love to hear from you! You can order or download these free resources on our website, or by giving us a call at 604.668.8210. Find out where around the province people are using “What Matters to You?” resources with our heat map. If you are a patient or caregiver, prepare for your health care visits by reflecting on what matters to you. Try putting distracting sounds and thoughts to the side for just a moment and focus on your breathing. Think about who you are and what you are facing right now, what is the most important thing that comes to mind that you wish your care team knew about you? If you are a family member of a patient, what comes to mind that you want the care team to know about you and your loved one who is being cared for? For some people, bringing written notes to a health care appointment can be helpful. And remember, you don’t necessarily need to wait to be asked! Take the initiative to tell your health care provider what matters to you. Consider cultural differences. For instance, many Indigenous people have had negative experiences that impact their trust and confidence in the health care system. Seek to understand your patients by asking questions. Understanding your own personal biases (we all have them) as a provider and respecting differences in beliefs, practices and communication styles is an important part of understanding what matters to them. Often in conversations we don’t really listen to what is being said. “What Matters to You?” is about encouraging people to listen more deeply, in order to truly understand what is being communicated. “What Matters to You?” provides an opportunity to pause and think about how well we are listening to others. Take a few minutes at the end of each day to reflect on the conversations you had. Did you spend more time listening or talking? Did you listen to understand, or were you waiting for your turn to speak? Listen with an open mind. In doing this, try to see from the other person’s point of view to understand what is important to them. Remember that listening involves more than your ears. Signals such as making eye contact, nodding, and leaning in can also demonstrate that you are paying attention. Relationships require both people to make an effort. Listen to others the way you want to be listened to. After you ask, “What matters to you?” give the other person time to talk without interrupting. Try silently counting to ten after they finish speaking before saying something, as they might just be pausing between thoughts.